1060 matched the 980 IIRC. Neither of those are needed by target audience which is gamers using 1080p screen. How do I read the labels in the charts? On pages page 12 -24 it is the Gaming Pro and on page 29 there's a Gaming Pro and a Gaming Pro OC. Gaming Pro is sold by Palit as a 1680 MHz clock card and Gaming Pro OC is a product sold with an 1830 MHz clock rate but you also overclocked the Gaming Pro OC to 2050 MHz. The labels are confusing. They marketed it as 1080p but 2060 is a capable 1440p card if nvidia didnt restrained deliberately not to cripple 2070 sales. Not in RTX Paradigm. There 2060 and 2070 perform barely good enough to run 1080p. Framerate drops are not pretty. Not seeing this card, but it's nice to see in-stock 2060's at £275 + VAT, so pretty much selling here at $350. It's a good upgrade from GTX 970 if you can't wait until yr 2020 when NVidia will likely release GPUs with a big performance bump on 7nm process node. Thing is RTX 2060 only has 6GB VRAM, and I don't really see that being a relevant card much beyond 2020, so I would see it as a short term ownership. I guess if you really need to upgrade from GTX 970 then wait for used Pascal prices to drop sharply and buy something like a really cheap (not yet) GTX 1070 to last you 1-2yrs until NVidia launch those tasty 7nm cards, don't spend much on it though. I probably should wait another year or so, i need more system memory and adding more of that would be a waste of money unless i also replace the board and CPU. A GPU is always a more "glamorous!" upgrade though. Different cooling designs. Different memory manufacturer. Different overclock app. Different clock speed. Temperatures & Noise are some of the most useful aspects of the review, and that's specific to each individual model, so I find the reviews useful, but if I'm in a rush I'll just skip to the Power Consumption/Heat/Noise/Sustained Clock Speed/Overclocking pages. Unless you want to make an informed choice when buying, why would you read every last review? There's a lot more to do on the internet. I noticed that Asus GPU prices became crazy with RTX. 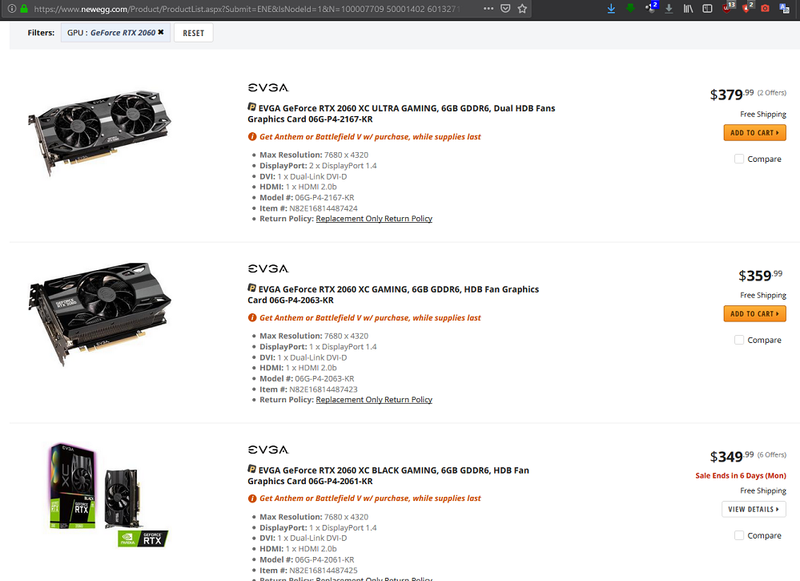 Asus thinks that they are Apple of GPUs or something with such ludicrous prices. For example: all 2080Tis are around 1100-1250 eur, while Asus STRIX is 1550 eur. Madness. Here in the US, i'm already seeing pre-orders for $349. Lol that card is so weird looking, it's like a square.